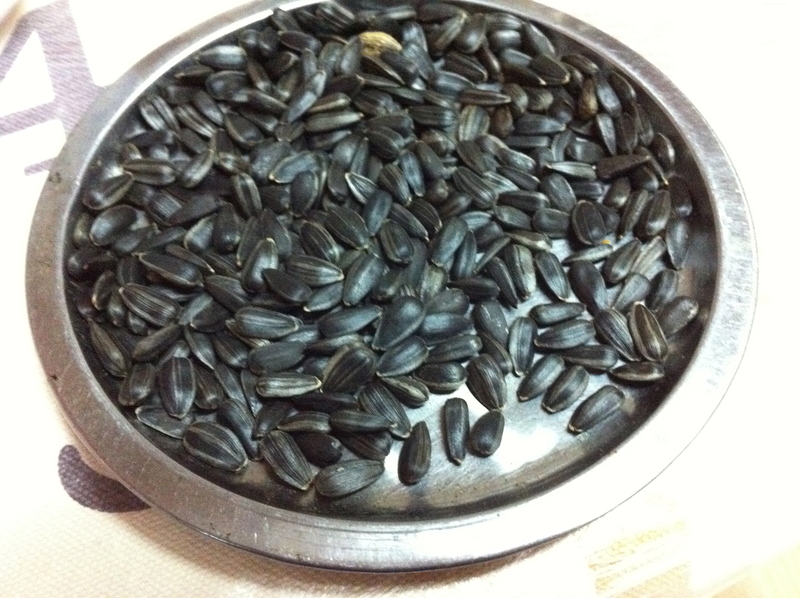 Meal starts out by munching on some sweet sunflower seeds. Not sure why they taste sweet, maybe they are soaked in something? Or maybe they are a special variety? 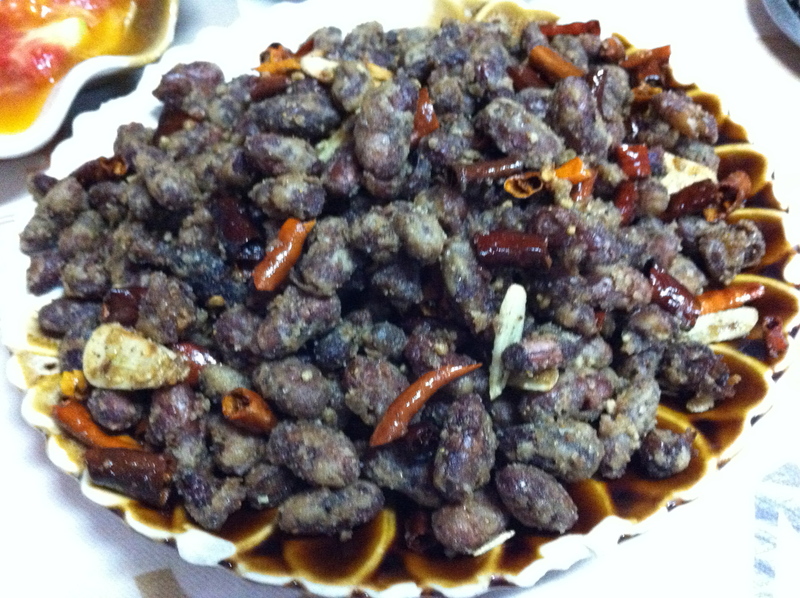 Meaty red beans coated in a salty/spicy mix and deep fried. 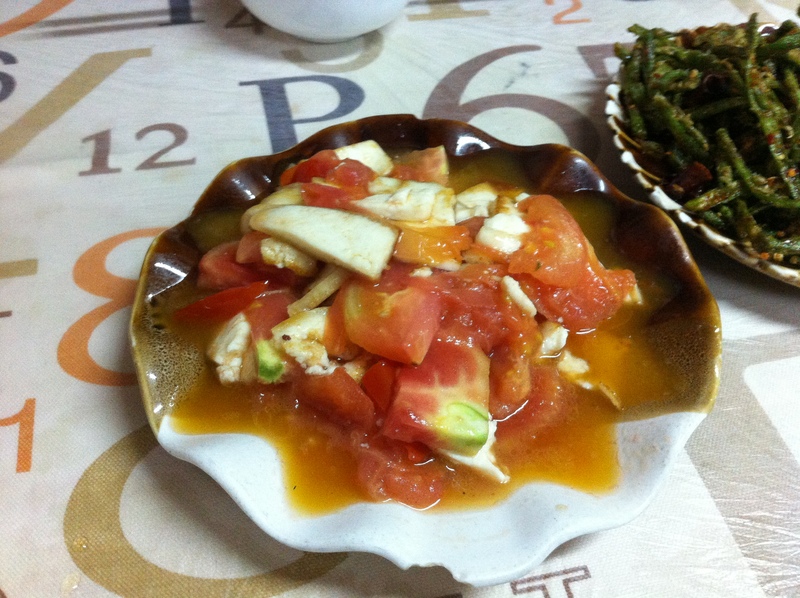 My all-time favorite Yunnan dish. 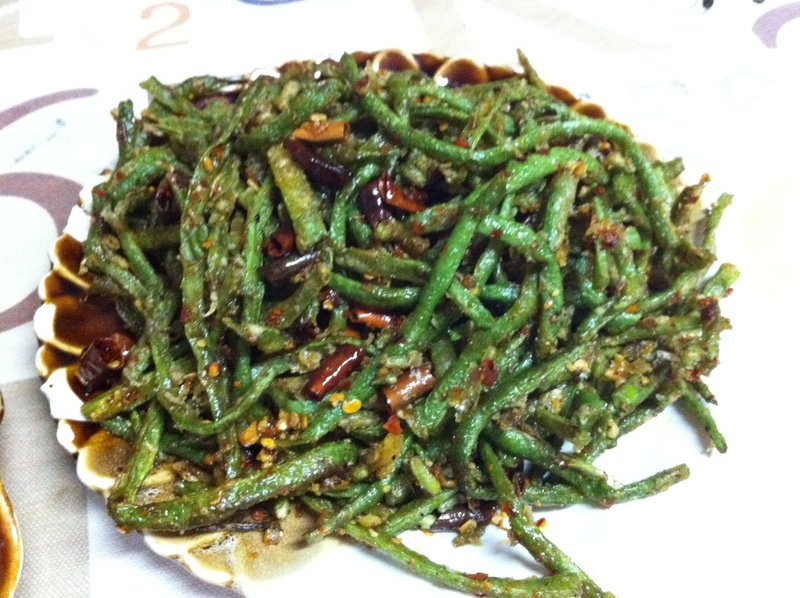 This is what I will crave when I leave China! 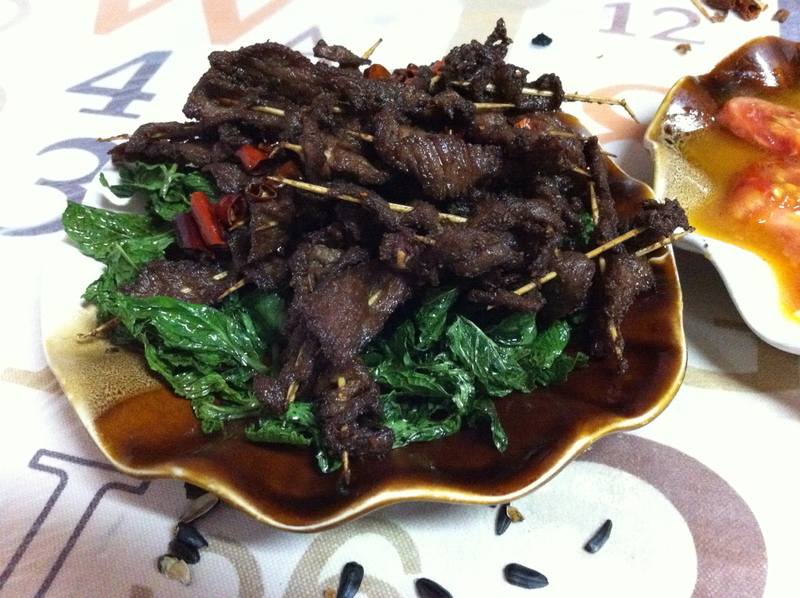 Little beef skewers (on toothpicks!) on a bed of crispy mint. ..And just in case you think that everything I eat here is deep fried… here’s a lunch I had with a friend today from an amazing Buddhist vegetarian restaurant. 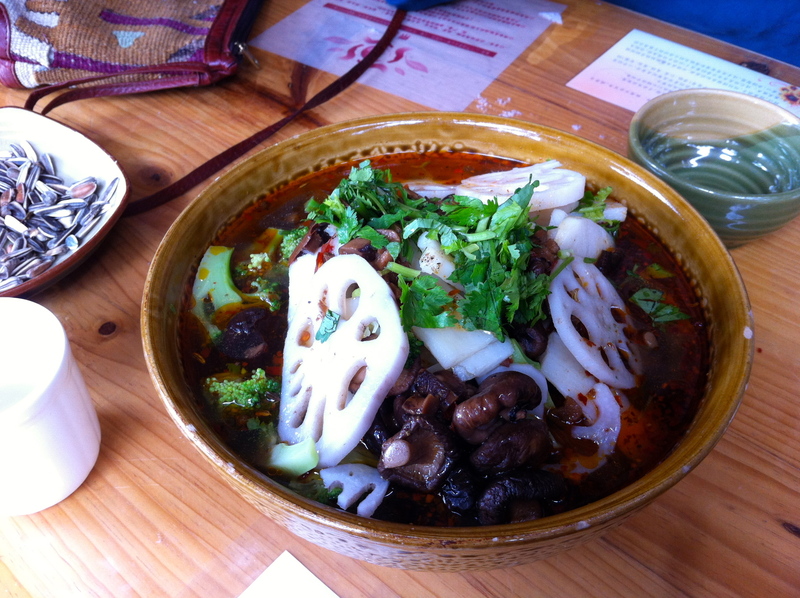 A variety of vegetables cooked in 麻辣汤, an amazingly flavor-filled spicy broth. We had two different kinds of tofu, radish balls, mushrooms, broccoli, bok choy, a potato-like tuber, and lotus root (white thing on top with holes in it). Totally hit the spot, and felt super healthy after eating lots of oily Chinese food.